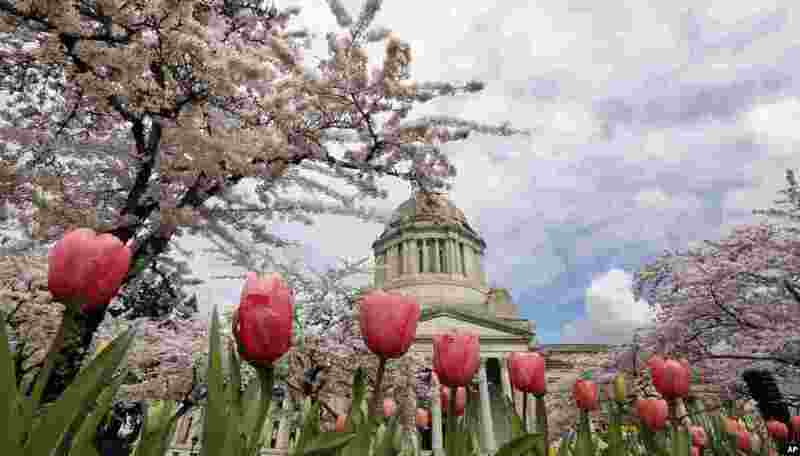 1 A line of tulips stand in bloom in front of cherry trees also in full bloom near the Capitol building in Olympia, Washington. 2 U.S. First Lady Michelle Obama recovers from a stumble before shaking hands with Japanese Emperor Akihito, center, as Empress Michiko looks on upon her arrival at the Imperial Palace in Tokyo. 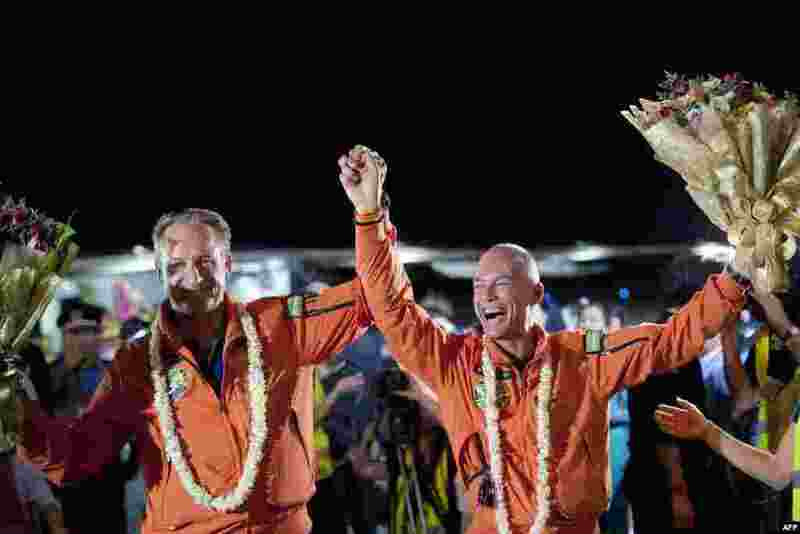 3 Swiss pilots Andre Borschberg (L) and Bertrand Piccard (R) of Solar Impulse 2, the world's only solar-powered aircraft, react upon their arrival at Mandalay international airport, Myanmar. 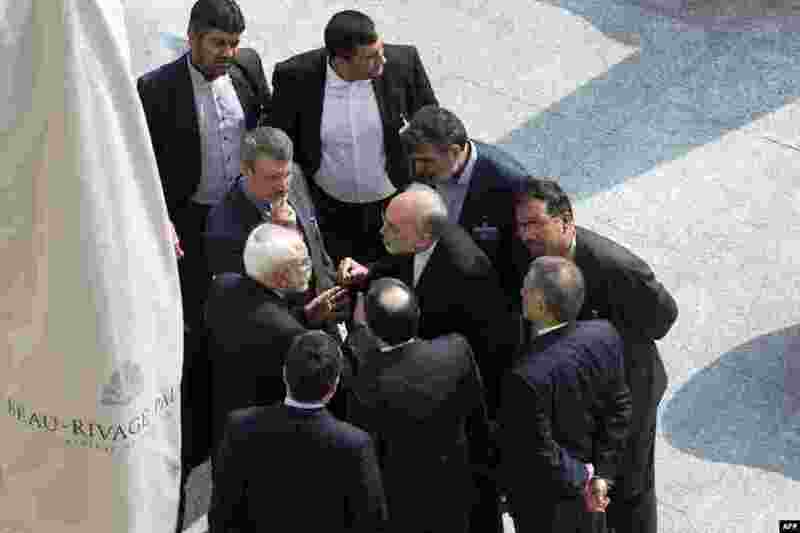 4 Iran's Foreign Minister Mohammad Javad Zarif (C on left) and head of the Atomic Energy Organization of Iran Ali Akbar Salehi (C on right) talk outside with aides after a morning negotiation session with U.S. Secretary of State John Kerry over Iran's nucler program in Lausanne, Switzerland.